Svabite: Mineral information, data and localities. Colorless, light yellow, gray, light brown; colourless in transmitted light. Named in 1891 by (Sten Anders) Hjalmar Sjögren in honor of Anton von Swab (Svab) [July 29, 1703 Fahlun, Sweden - January 28, 1768 Stockholm, Sweden], chemist, mineralogist, and Swedish mining official - Bergmästaregatan in Skåne and Kronoberg. 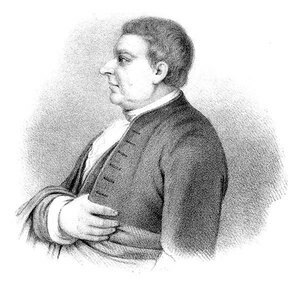 Swab was a step-brother of Emmanuel Swedenborg. Swab made important discoveries. He refined zinc from calamine and later from blende and together with Axel Cronstedt developed a commercial process for refining zinc and in turn greatly aided the manufacture of brass in Sweden. 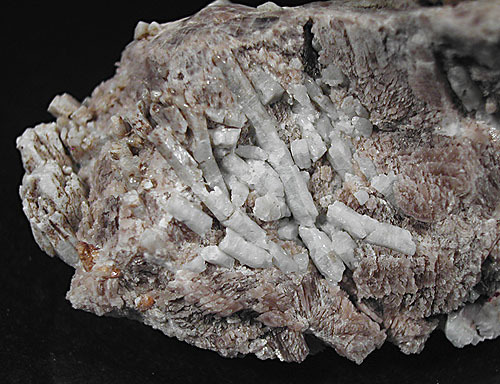 Swab also discovered native antimony at Sala, Sweden. Weeks (1960) cited an obituary of Anton von Swab and Georg Brandt written by Carl von Linne: "The kingdom and our sciences have now lost in a single year two stars of the first magnitude, Brandt and Svab. The Bureau of Mines and the science of mining have lost their supporting pillars. Men such as these never spring up like mushrooms. So far as I know, Europe has none like them. ... A king can lose an army, but within a year have another ]ust as good. A king can lose a fleet and within two years have another rigged up, but a Brandt and a Svab cannot be gotten again during his entire reign"
Apatite Supergroup. 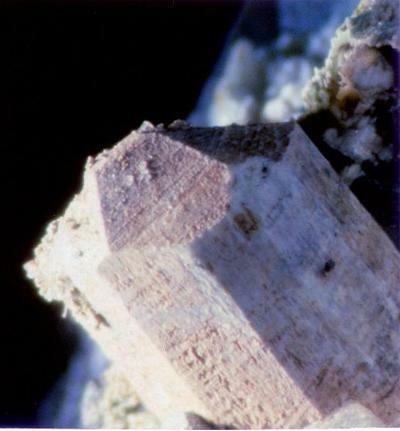 The arsenate analogue of fluorapatite. The fluorine analogue of johnbaumite and turneaureite. Forms a series toward fluorapatite with an increase of P for As. Also forms a series toward hedyphane and mimetite with an increase of Pb and Cl. Occurs as an rare accessory mineral in calc-silicate skarns. Sjögren (1891) described and named svabite as a new mineral from Harstigen, Värmland, Sweden. In 1892 he reported the occurrence of svabite at Harstigen and also at another locality, the Jakobsberg Mine, Sweden. At the time they did not distinguish between OH-dominant and F-dominant calcium arsenate. A re-examination of the chemical analyses of Sjögren (1891, 1892) shows that the mineral from Harstigen was probably not svabite (F-dominant), but johnbaumite (OH-dominant). The reason for "probably" concerns the inaccuracy of fluorine determinations in the time period. The Sjögren (1891, 1892) chemical analysis of the specimen from Jakobsberg is F-dominant (svabite). 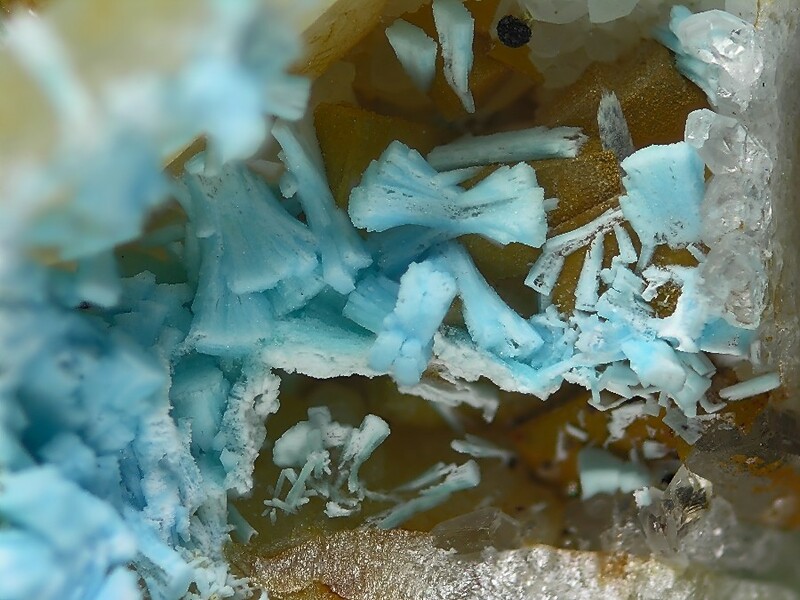 The accuracy of the analysis of the Harstigen specimen relating to its being the type locality for svabite, has been questioned (Biagioni & Pasero 2013) and Jakobsberg may be regarded as the type locality. Lowest in material low in Pb and high in P.
Crystals short prismatic . Also massive. Tilasite 21 photos of Svabite associated with Tilasite on mindat.org. Calcite 7 photos of Svabite associated with Calcite on mindat.org. Barysilite 4 photos of Svabite associated with Barysilite on mindat.org. Spessartine 3 photos of Svabite associated with Spessartine on mindat.org. Bergslagite 2 photos of Svabite associated with Bergslagite on mindat.org. Braunite 2 photos of Svabite associated with Braunite on mindat.org. Barytocalcite 2 photos of Svabite associated with Barytocalcite on mindat.org. Richterite 2 photos of Svabite associated with Richterite on mindat.org. Hematite 2 photos of Svabite associated with Hematite on mindat.org. Långbanite 1 photo of Svabite associated with Långbanite on mindat.org. Sjögren, H. (1891): Bidrag till Sveriges mineralogi. Svabit, ett mineral af apatitgruppen från Harstigsgrufvan. Geologiska Föreningen i Stockholm Förhandlingar. 13: 789-796. Sjögren, H. (1892): Contributions to Swedish mineralogy. Part I: 7. Svabite a new member of the apatite group. Bulletin of the Geological Institution of the University of Upsala. 1: 50–56. Sjögren (1895) Geologiska Föeningens I Stockholm. Förhandlinger, Stockholm: 17: 313. Larsen, E.S. (1921) The Microscopic Determination of the Nonopaque Minerals, First edition, USGS Bulletin 679: 140. Flink (1925) Geologiska Föreningens I Stockholm. Förhandlinger, Stockholm: 47: 127. Bauer and Berman (1930) American Mineralogist: 15: 347. Palache, C., Berman, H., & Frondel, C. (1951), The System of Mineralogy of James Dwight Dana and Edward Salisbury Dana, Yale University 1837-1892, Volume II. John Wiley and Sons, Inc., New York, 7th edition, revised and enlarged, 1124 pp. : 899–900. Doklady Akademii Nauk SSSR (1966): 166: 134. Welin, E. (1968) X-ray powder data for minerals from Långban and the related mineral deposits of Central Sweden. Arkiv Mineral. Geol., 4(30), 499–541. Kucharski, Marian; Mroz, Wieslaw; Kowalczyk, Janusz; Szafirska, Barbara; Gluzinska, Monika (2002): Leachability and thermal stability of synthesized and natural svabite. Archives of Metallurgy 47, 119-126. Whitfield, Pamela S.; Le Page, Yvon; Mercier, Patrick H. J.; Kim, Jean Y. (2007): Least-squares thermal expansion tensor of vanadate and arsenate triclinic apatites derived from laboratory X-ray powder diffraction cell data. Journal of Applied Crystallography 40, 1019-1026. Zhu, Yi-Nian; Zhang, Xue-Hong; Zeng, Hong-Hu; Liu, Hui-Li; He, Na; Qian, Mei-Fang (2011): Characterization, dissolution and solubility of synthetic svabite [Ca5(AsO4)3F] at 25-45°C. Environmental Chemistry Letters 9(3), 339-345. Biagioni, C. & Pasero, M. (2013): The crystal structure of johnbaumite, Ca5(AsO4)3OH, the arsenate analogue of hydroxylapatite. American Mineralogist: 98: 1580–1584. Deng, Huan; Mo, Lingyun; Zhu, Yinian; Zhu, Zongqiang; Liu, Huili; He, Na; Liu, Jie (2015): Dissolution and stability of arsenate/phosphate fluorapatite solid solution [Ca5(PxAs1-xO4)3F] in aqueous solution at 25 °C. Asian Journal of Chemistry 27, 521-531. Biagioni, C., Bosi, F., Hålenius, U., Pasero, M. (2016): The crystal structure of svabite, Ca5(AsO4)3F, an arsenate member of the apatite supergroup. American Mineralogist 101, 1750-1755. Piccoli, G.C., Maletto, G., Bosio, P., Lombardo, B. (2007) Minerali del Piemonte e della Valle d'Aosta. Associazione Amici del Museo "F. Eusebio" di Alba, Ed., Alba, 607 pp. ; Kolitsch, U., Ciriotti, M.E., Cadoni, M., Armellino, G., Piccoli, G.C., Ambrino, P., Blass, G., Odicino, G., Ciuffardi, M. (2011) Montaldo di Mondovì Minerali della miniera di manganese e ferro. Micro, 9, 4-21.
ⓘ Sa Duchessa Mine ? Brizzi, G., Cocco, E., Olmi, F., Sabelli, C. (1989): Nuovi ritrovamenti di minerali nella Sardegna nord-occidentale. 2° Sa Duchessa (Domusnovas). Rivista Mineralogica Italiana, 3/1989, 121-134. G. Raade, U. Kolitsch and T. A. Husdal (2006): Si-rich bergslagite from a granitic pegmatite at Tennvatn, north Norway. GFF 128, 65-68. Sjögren, H. (1892): Contributions to Swedish mineralogy. Part I: 7. Svabite a new member of the apatite group. Bulletin of the Geological Institution of the University of Upsala. 1, 50–56. Nysten, P. (1987). Armangite from Nordmark. GFF, 109(2), 110-110. Crimmins, Laura G. (2012) Structure and Chemistry of Minerals in the Ca-(AsP)-(OH,F,Cl) Apatite System" Johnbaumite, Svabite, and Turneaureite from Franklin and Sterling Hill, New Jersey, USA. M.S. Thesis, Miami University, Miami, Ohio, pp. 55.